This species is accepted, and its native range is S. Central & S. Europe. Silene petraea Waldst. & Kit. Durovic, S. & al. (2014). Silene triflora (Bornm.) Bornm. 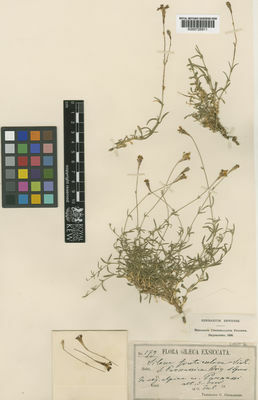 (Caryophyllaceae). a neglected species from the Central Balkans Phytotaxa 172: 1-12.